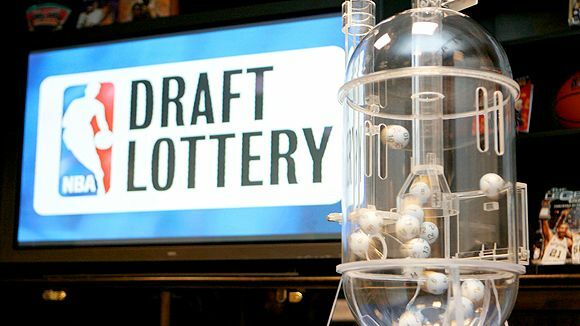 NBA looking to eliminate draft lottery.. finally. Obviously this new proposal isn’t flawless. The biggest drawback would be that a championship team could possibly end up with a high draft pick, making it easier for them to continue their dominance. As someone who truly despises the idea of tanking, however, I’d have to say that the good far outweighs the bad. The concept of tanking, or losing games on purpose, has to be one of the worst things that has ever happened to the NBA. First of all, for the fans, it gives them a reason to root for their favorite team to lose (which I think is stupid regardless of the team’s current standing). For the GM’s, it’s a pathetic way for them to cheat the system in hopes of improving their roster. GM’s will now become more valuable as they’ll have to depend more on acquiring players through trades and free agency in order to make their team a contender. And when they do get their number one draft pick, they better make the most of it because they won’t see another one for 30 years. Unfortunately, the new system wouldn’t take effect until all draft-related trades are finalized, which isn’t for another six years at the earliest. Nonetheless, it’s good to see that the NBA is taking action in eliminating one of their biggest problems.